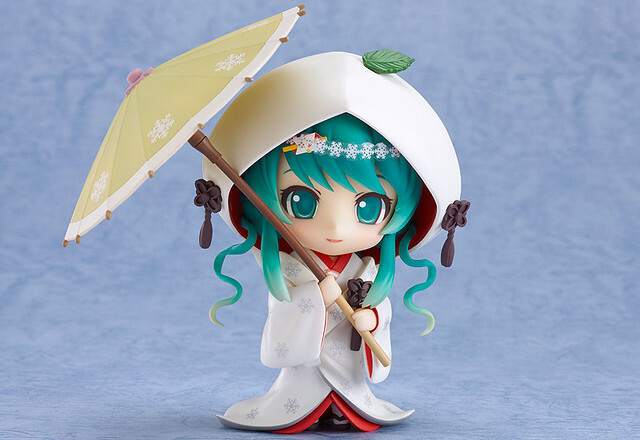 Yes, this is a one-week old news, but anyway … yes, as you have known, GSC has updated their Wonderful Hobby Life for You (WHL4U) website with information and the exclusive products line-up for the upcoming Winter WonFes 2014. 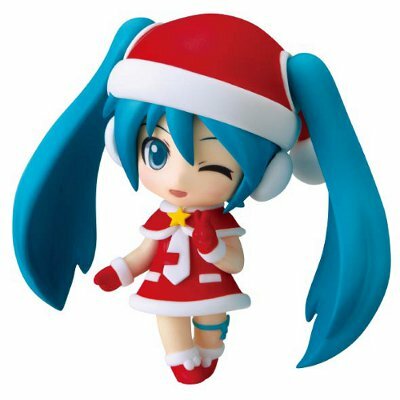 Well, one of the most anticipated product is obviously the Nendoroid Snow Miku: Magical Snow version, and she is finally official! 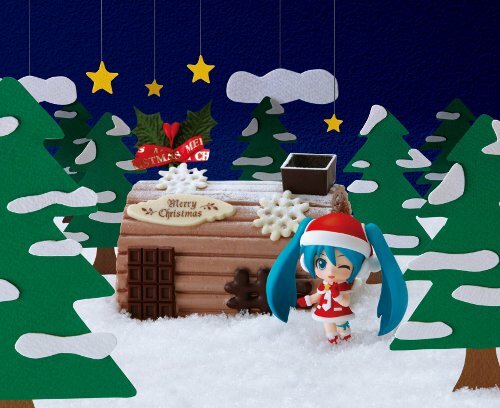 2014 is Snow Miku’s 5th anniversary year, and once again designs were added to the piapro website and the most popular was voted for on a live NicoNico Broadcast! The winning design of the 2014 Snow Miku was by dera_fury, who created a playful Snow Miku filled with magical girl charm! The pet to be included was a separate competition, and the selected design was ‘Rabbit Yukine’ illustrated by nekosumi – the two of them have now been transformed into the 2014 Nendoroid Snow Miku for a Winter that fans are sure to remember! Included with the Nendoroid is a special spell book stand, her magic wand, effect parts, a magic circle as well as sitting parts are also all included! She even comes with special arm parts to display her hugging Rabbit Yukine instead of just holding her! All the parts you’ll need for a truly magical experience with Snow Miku!! 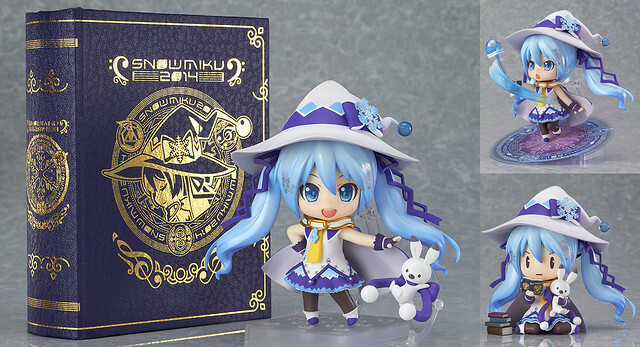 Witch Miku + the spell book + the rabbit + magical accessories = Overload of cuteness! 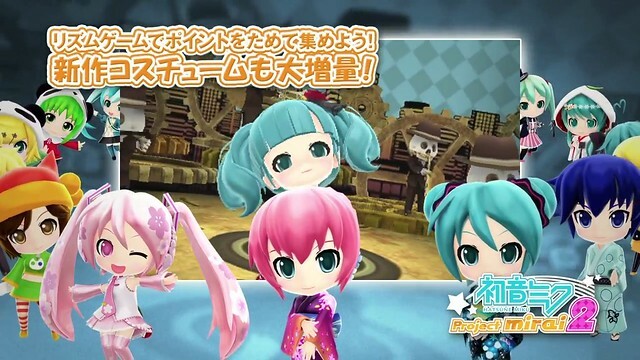 For those who have played the first installment of Hatsune Miku: Project Mirai on Nintendo 3DS, you should have known how cute the chibi Vocaloid sing and dance. 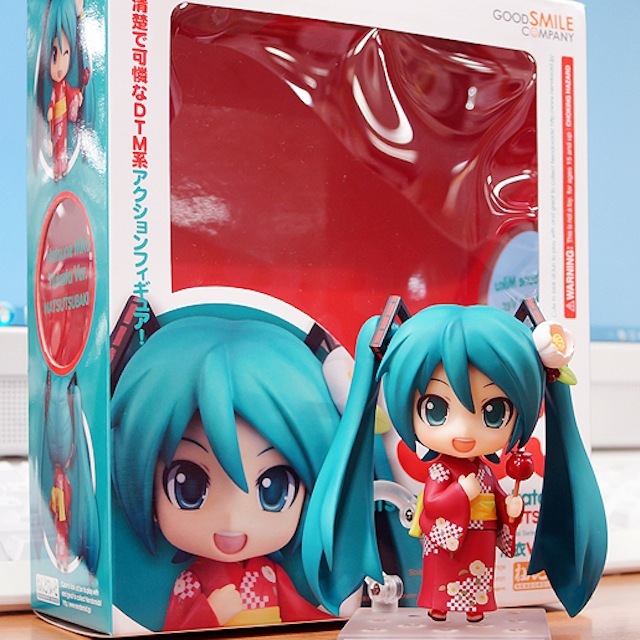 The sequel of the Nendoroid x Vocaloid game, aptly titled as Hatsune Miku: Project Mirai 2 has already been announced for a while, and finally we got a trailer today. 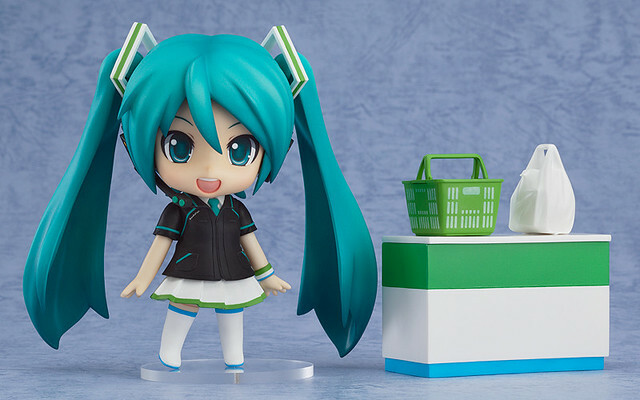 GSC’s collaboration with FamilyMart and Crypton Future Media are still running, and this summer they are going to produce the FamilyMart version of Hatsune Miku, Kagamine Rin, and Kagamine Len in Nendoroid version. Yes, similar to the previous campaign, you can only get the Nendoroid by testing your luck in a kuji (raffle) with each draw cost 800 Yen.